Winning his fifteenth WSOP Bracelet is a HUGE step in Phil’s quest to become the greatest poker player of all-time! 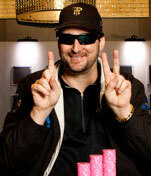 Phil’s perseverance paid off, when he entered the $5,000 buy in No Limit Hold’em tourney at the World Series of Poker. After a bad summer (by Phil’s standards) Phil was considering taking the day off. But Mike “The Mouth” Matusow and Phil’s wife pushed him hard to man up, and show up! 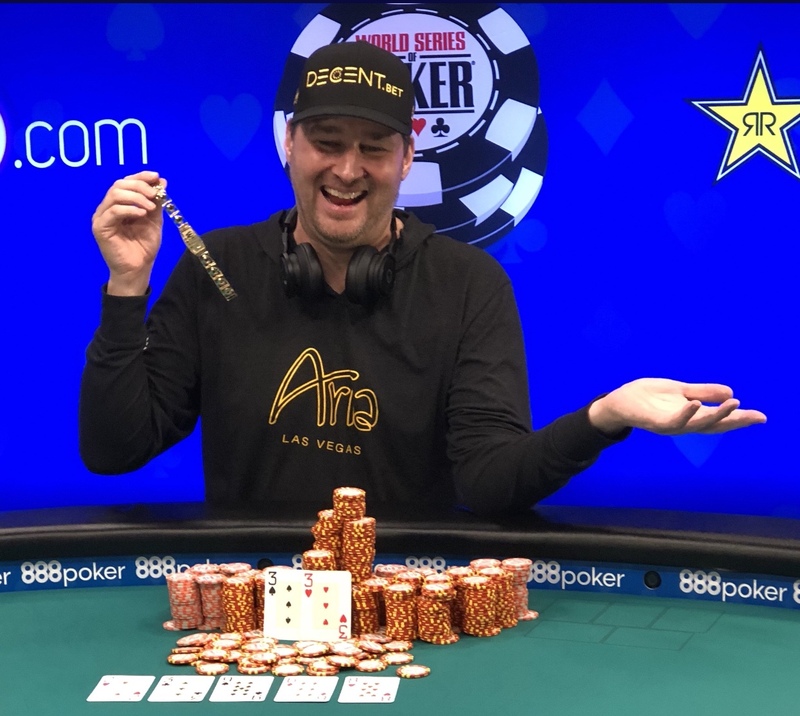 Also, Phil told us that his friend Brandon Cantu was screaming at him on the phone about making adjustments to his No Limit Hold’em tournament game! Phil realized Cantu was right, and took it. And then made those key adjustments, and a few days later won his 15th! Upon entering the tourney Phil tweeted out about #Perswrverance and then he went out and won. Phil also knew he needed an attitude adjustment, and brought a calm demeanor (for once) to the tables. Folks, never give up!!! 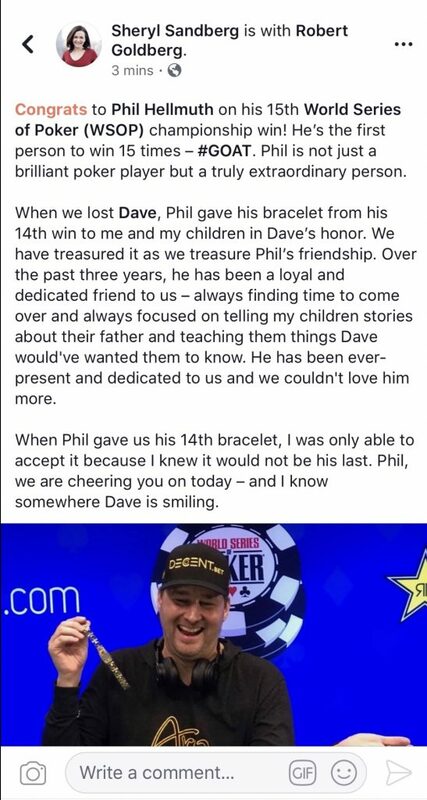 The legendary Sheryl Sandberg (Founder of the “Lean In” movement) made Phil’s day when she posted this on Facebook (Sheryl is the COO), and on her Instagram [Phil feels he’s misunderstood, and views himself as a great guy, but acknowledges he’s a “Poker Brat” in the arena.